Your home’s fence is not only good for privacy, it’s also good for sealing in your homes’ individual style. If you plan on moving or selling your home, the way your fence looks could be the deciding factor in how quickly your home sells and how long it remains on the market. So just what is it about your fence that makes it so instrumental to the overall value of your home? There’s something about a well-designed fence that adds a certain curb appeal to any home. If you have a huge backyard but don’t have a fence running around it, then it can give your yard a certain sense of emptiness. Not to mention the fact that most homeowners want a home with the privacy that a fence can provide. If potential buyers have large dogs that like to roam around outside, a fence is something that they’ll most definitely want their new home to have. Something else to think about is that a majority of real estate agents will recommend that you stage your home before you actually put it on the market so that potential buyers feel will more at home and so that there aren’t as many of your personal effects in your home. While your home is still your home until someone buys it, you also want to do everything possible to allow potential buyers to see themselves living there. A home with a fence lets your potential buyers imagine themselves entertaining guests, enjoying a quiet and private night and raising a family. Security is one of the biggest reasons for putting up a fence around your home and one of the best ways you can add value to your home. No one wants furry critters and possible intruders finding their way onto their property. You can also keep dogs inside of your property where they’ll have plenty of room to roam around and you won’t have to worry about them roaming off on their own. If you don’t yet have a fence and are thinking about building one before putting your house up for sale, you’ll want to check with your homeowners association if you have one. The reason for this is that there might be certain rules and regulations regarding the type and height of fence that you’re allowed to put up. You don’t want to spend an abundance of time and money on a new fence only to have to tear it down because it’s not approved. Take a look at local government documents and walk around the neighborhood and look at the types of fences your neighbors have in their yards. Once you have a general idea and have checked with your homeowners association, you’ll need to find a contractor or fencing company that specializes in that type of fencing. If you see that a majority of the other houses in your neighborhood have fences and your home doesn’t, it might look as though your home is somewhat neglected or unfinished. Try to make your fence look similar to what everyone else in the neighborhood has. The nice thing about your neighbors having fences on either side of you is that you won’t have to spend as much money on your own fence. If you’ve been living in a neighborhood for a while, then it might start to change as parents retire and children go off to college. As younger couples start to move in, they might start to put fences up around their homes so their children will have a place to play when they get older. A neighborhood might also start to change if there’s a new school opening up in the area. If you plan on moving soon yourself, be sure to keep an eye on the local real estate market in order to see whether or not your potential buyers will be looking for a home with a fence. Building a fence can not only attract potential buyers, it can get them thinking about making additions to the home. They might start thinking about how nice a new patio, deck, gardening and planting area or meditation space might look built onto their new home. 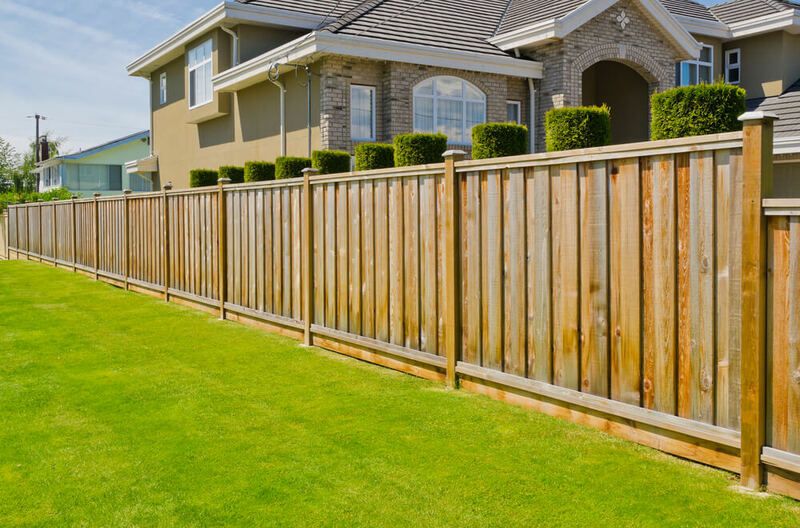 Never underestimate the power of putting up a new fence around your home since potential buyers won’t underestimate the possibilities of living in a residence with a well-designed and well-built fence.